C.J. Hayden, MCC, is the best-selling author of Get Clients Now! (AMACOM, 2007), Get Hired Now! (Bay Tree, 2005) and The One-Person Marketing Plan Workbook. C.J. is a business coach and trainer who helps her clients achieve their right livelihood through building businesses that make a difference. She is a former management consultant with over 25 years of business experience. C.J. has been speaking and training professionally since 1978, and coaching since 1992. C.J. has taught entrepreneurship, marketing, and personal growth skills for hundreds of organizations, including John F. Kennedy University, Mills College, The Coaches Training Institute, Chevron, Federal Express, Marriott, Wells Fargo, SCORE, and the U.S. Small Business Administration. As one of the leaders in the emerging profession of coaching, C.J. was a founding director of the worldwide Professional & Personal Coaches Association (now part of the International Coach Federation). She also founded and served as editor of Being in Action: The Journal of Professional & Personal Coaching. She holds the credentials of Master Certified Coach and Certified Professional Co-Active Coach. C.J. currently serves on the boards of Grameen Shakti, Global Initiative to Advance Entrepreneurship and Choice: The Magazine of Professional Coaching, and directs the Send Girls to School Project. A popular speaker and workshop leader, C.J. has presented hundreds of programs on fearless self-promotion, entrepreneurial success, and finding right livelihood to corporate clients, nonprofit associations, and small businesses. 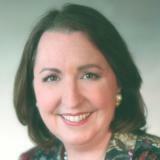 Her articles have been published internationally in Home Business, Selling Power, and CareerSource magazines, and in numerous regional publications, including California Job Journal and Bay Area BusinessWoman. She contributes regularly to dozens of websites, including About.com, Business KnowHow, and RainToday. C.J. has been featured in numerous books, including Get Slightly Famous, Take Back Your Time, and The Business and Practice of Coaching. She has been widely profiled internationally by print and broadcast media, including Investor's Business Daily, Priority Magazine, and Costco Connection. Being Unique is a Good Thing... Isn't It? Increase your sales and marketing success by combining the Get Clients Now! system with the coaching, accountability, perspective, and support provided by a 28-day program. In this highly effective action group format, you and a team of other independent professionals use the power of group coaching to help each other get more clients. I know that you went into business for yourself, or chose the line of work you're in, for a reason. You saw that it would get you something you wanted -- control over your time, a better working environment, more money, the possibility of passive income, using your talents, sharing your vision, changing the world -- whatever it was. And that choice you made was about actually doing the work: serving your clients, whoever they are. But if you don't have clients, or don't have enough of them, you're not getting what you want -- you're not changing the world fast enough, doing enough of what you love, earning enough to feel secure, having more control over your life -- because you're spending too much time and money on marketing. The purpose of my work is to help you get what you want in life by making your business more successful, and to do that with as little struggle as possible. That's what I want for you.